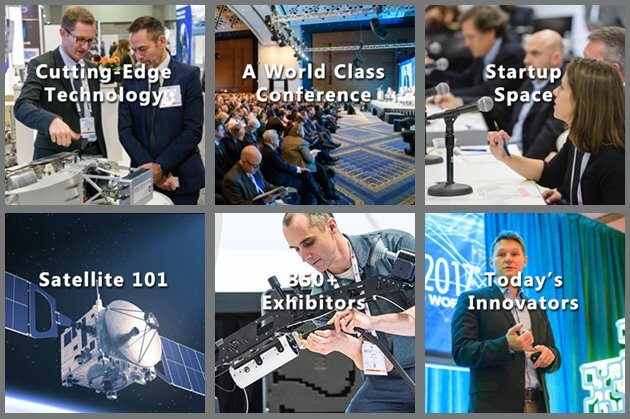 The 38th Annual SATELLITE Conference & Exhibition on the future of satellite connectivity will take place at the Walter E. Washington Convention Center in Washington, D.C. on May 6-9, 2019. Connectivity professionals from over 100 nations will gather at the event. The conference will present 70 sessions led by more than 250 technology and connectivity experts. More than 15,000 attendees, including aerospace thought leaders, executives, entrepreneurs, and engineers, among others, will come together at the biggest and most important global connectivity technology event of the year. SATELLITE has played a key role for over 38 years on how satellite technology shapes the world. The show will feature “cutting-edge technologies, the hottest products, and next-generation applications for buyers from the enterprise, finance, media, military and government, telecommunications, and transportation sectors,” according to the conference website. “SATELLITE is a global show, where anyone from anywhere in the world who is looking to better their business operations or enhance their strategy through connectivity can join thousands with the same mindset,” the conference brief added. Some high-profile speakers at the conference include Kay Koplovitz, Co-Founder and Managing Director of the Springboard Growth Capital; Jon Brickey, Senior Vice President, Cybersecurity Evangelist, for Mastercard Operations & Technology (O&T); Dr. Charles Norton, Small Spacecraft Missions, Science Mission Directorate at NASA; Jane Poynter, CEO and Co-Founder of World View Enterprises and James Miller, Deputy Director, Policy and Strategic Communications, Space Communications and Navigation Program at NASA Headquarters. The four-day conference will contain several programs including “The Global Quest for Space Leadership and Competitiveness”, “Space Sustainability: Industry Ratings and Incentives”, “Building Satellite Propulsion Systems for the New GEO/MEO/LEO Landscape” and “Space Situational Awareness & Traffic Management”, among others. Click here to see the complete Conference Program. Register here by February 21 for early bird discounts.